Wolken Family Dental is owned and operated by third generation Wolken dentists, Dr. Chris and Dr. Andy. Throughout the generations, we have remained at the forefront of dental technology and continued to help patients achieve optimal health through exceptional care. Using our personalized and high-end approach to dental services, we tailor treatment options for each patient and deliver them with impeccable service. We provide around-the-clock care, whole health solutions, and the foundation for a long-standing relationship with our practice. Dr. Donald Wolken founded the practice in 1939 in small-town Clayton, Missouri, following graduation from Saint Louis University Dental School. After serving in World War II, he was elected president of the St. Louis County Dental Society. His son, Dr. Steven, joined the practice after graduating from the University of Missouri, Kansas City, in 1974. He and his wife, Joan, grew the practice while raising their six children. Dr. Steve served as vice president of the Clayton Chamber for ten years and as a Clayton alderman for six years. He remains an integral part the practice. Located west of downtown Clayton, we primarily serve residents and families of Clayton, Richmond Heights, University City, Olivette and the Clayton business district. 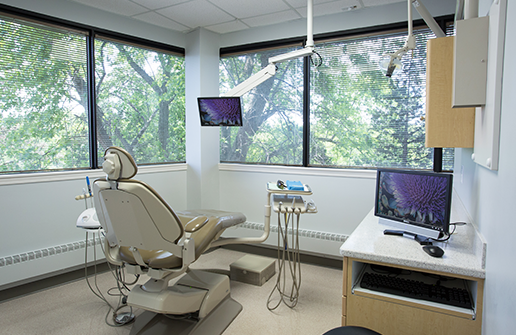 Our modern, beautiful office environment, world-class dental technology, and concierge-level dentistry have made Wolken Dental Dental the premiere choice for St. Louis individuals seeking high-quality dental care. 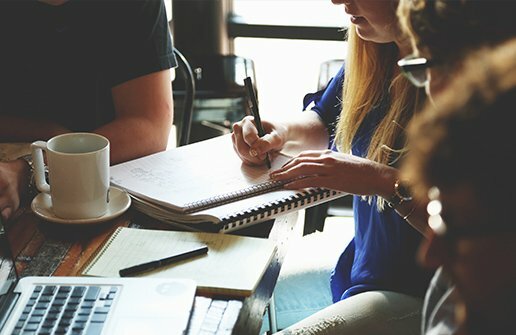 We choose staff members based on their level of skill, personality, and strength of character. 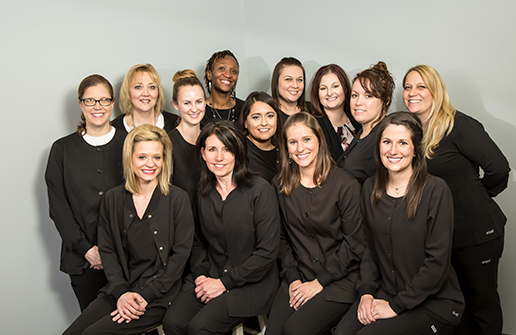 Our team consists of warm, friendly and caring individuals who treat patients with the highest level of service. We are always available to talk through dental plans and payment options and to answer any questions that you have about your appointment. Our goal is to provide excellent service and form lifelong relationships with our patients. Dr. Andy graduated from the University of Missouri-Kansas City Dental School in 2008 and joined his father and brother at Wolken Family Dental that same year. Dr. Andy provides high-quality, comprehensive dental care and is certified on a wide range of services, including full mouth restoration, oral surgery (including implant placement), sleep apnea diagnosis and treatment, and orthodontics using Invisalign. He is recognized as one St. Louis’ top dentists. 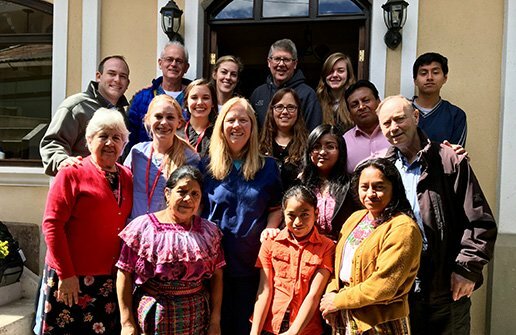 Dr. Andy has donated his time and expertise to international missionary work. He has provided care to tribes in Zambia, Africa. He and his wife, Katie, also a dentist, served families in Guatemala without access to dental services. Dr. Andy and Katie have two children and are passionate about their community. 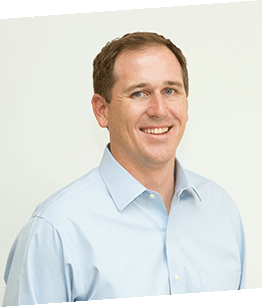 Dr. Chris graduated from the University of Missouri-Kansas City Dental School in 2003. He then joined the practice, creating the third generation of Wolken family dentists. Going beyond his primary dental care training, Dr. Chris completed a dental implant residency for placement and restoration of dental implants and has been trained to diagnose and treat sleep apnea. He is certified to perform orthodontics as an Invisalign Preferred Provider. Dr. Chris provides high quality, full scope dental care with an emphasis on comprehensive full mouth rehabilitation and has been recognized as one of Saint Louis’ Top Dentists. 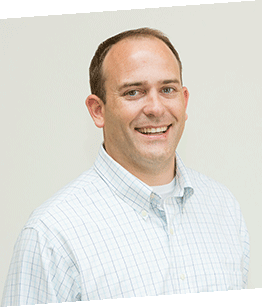 Dr. Chris and his wife live in Olivette with their 3 children. He is an active participant in Missouri Donated Dental Care and provides free dental care for underserved children in the community. Dr. Chris was recently honored with the Hero Award for his ongoing commitment to the Give Kids a Smile organization. Dr. Chris enjoys volunteering at schools to promote dental health in children and supporting organizations that support the health and well-being of the community. Our expertise in dental care and our compassion for patients spans beyond the walls of our office, and has taken us all over the globe. It’s our privilege and responsibility to support local and international charities, churches, and schools with time and funds. We have worked with the homeless and travelled on international missions trips to provide dental care and comfort to those in extreme need. We host educational opportunities for students in training. In 2014, we were awarded the Excellence in Retail Award by the Clayton Chamber of Commerce for more than 75 years of continued service helping to better our community. Each year we present a Wolken Dental scholarship for $1,000 to a Clayton High School student of excellent moral character and academic accomplishment who is preparing to go into the medical field. The scholarship is a heartfelt acknowledgment to the student for hard work. Dr. Steve established the award to thank the Clayton school system for the outstanding education it provided to his six children, including Dr. Chris and Dr. Andy. We congratulate all graduating seniors and encourage them to strive to make the world a better place while always remembering to help others along the way.